The development comes in the backdrop of the Election Commission staying the release of "PM Narendra Modi", a biopic on the Prime Minister till the Lok Sabha elections are over. 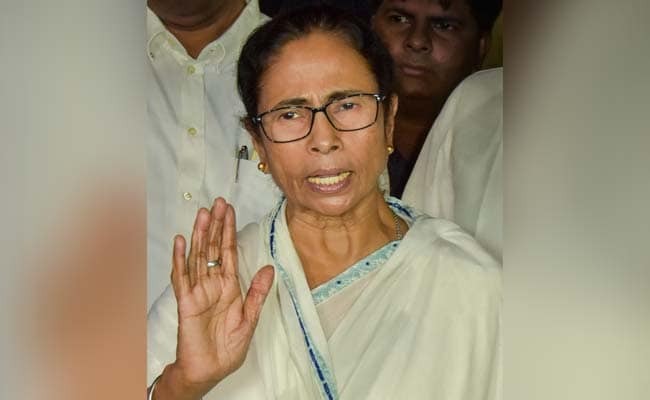 The Bharatiya Janata Party (BJP) on Wednesday wrote a letter to the Election Commission (EC) over the alleged biopic of West Bengal Chief Minister Mamata Banerjee titled - ''Baghini'', which is slated to release on May 3. The party has asked the Election Commission to review the alleged biopic on the TMC supremo. The development comes in the backdrop of the Election Commission staying the release of ''PM Narendra Modi'', a biopic on the Prime Minister till the Lok Sabha elections are over, citing the film "disturbs the level-playing field." The ''PM Narendra Modi'' biopic came under a cloud with the opposition parties, including Congress claiming that its release was planned with the intention of influencing voters in the ongoing Lok Sabha elections. The biopic depicts the journey of PM Modi from his humble beginnings to his years as a Chief Minister and finally his landmark election as the Prime Minister.